As of Matplotlib 2.2, numpy.datetime64 objects are handled the same way as datetime.datetime objects. set the rcParam axes.formatter.useoffset, or use a different formatter. See ticker for details. The savefig() command has a keyword argument transparent which, if 'True', will make the figure and axes backgrounds transparent when saving, but will not affect the displayed image on the screen. where all values are in fractional (0 to 1) coordinates. See Axes Demo for an example of placing axes manually. This is now easier to handle than ever before. Calling tight_layout() can fix many common layout issues. See the Tight Layout guide. The information below is kept here in case it is useful for other purposes. In most use cases, it is enough to simply change the subplots adjust parameters as described in Move the edge of an axes to make room for tick labels. But in some cases, you don't know ahead of time what your tick labels will be, or how large they will be (data and labels outside your control may be being fed into your graphing application), and you may need to automatically adjust your subplot parameters based on the size of the tick labels. Any Text instance can report its extent in window coordinates (a negative x coordinate is outside the window), but there is a rub. The RendererBase instance, which is used to calculate the text size, is not known until the figure is drawn (draw()). After the window is drawn and the text instance knows its renderer, you can call get_window_extent(). One way to solve this chicken and egg problem is to wait until the figure is draw by connecting (mpl_connect()) to the "on_draw" signal (DrawEvent) and get the window extent there, and then do something with it, e.g., move the left of the canvas over; see Event handling and picking. The other properties that control the tick marker, and all markers, are markerfacecolor, markeredgecolor, markeredgewidth, markersize. For more information on configuring ticks, see Axis containers and Tick containers. 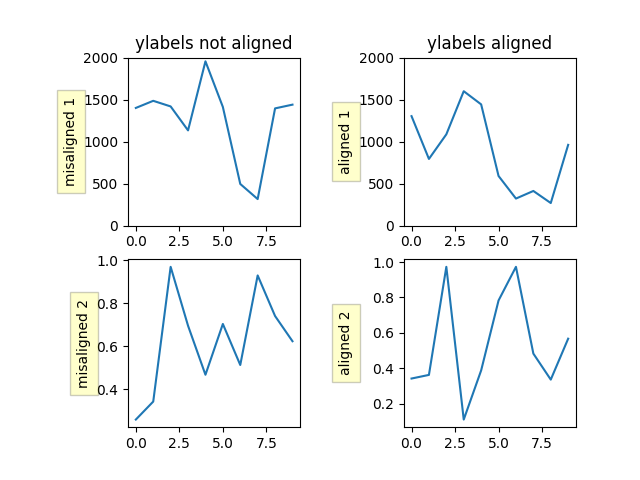 If you have multiple subplots over one another, and the y data have different scales, you can often get ylabels that do not align vertically across the multiple subplots, which can be unattractive. 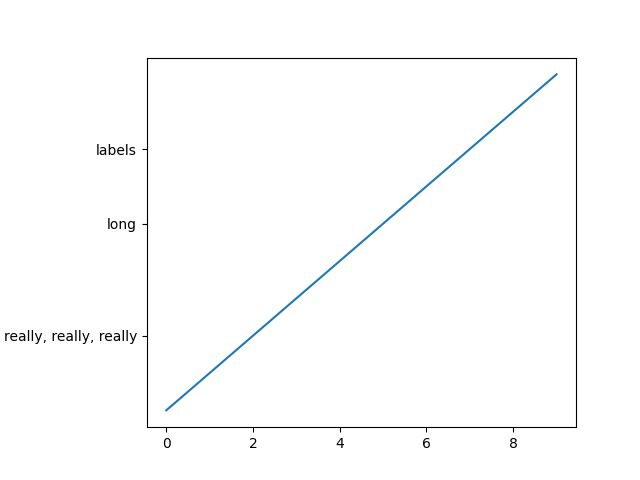 By default, Matplotlib positions the x location of the ylabel so that it does not overlap any of the y ticks. You can override this default behavior by specifying the coordinates of the label. The example below shows the default behavior in the left subplots, and the manual setting in the right subplots. See Zorder Demo for a complete example. You can also use the Axes property set_axisbelow() to control whether the grid lines are placed above or below your other plot elements. See Axis Equal Demo for a complete example. A frequent request is to have two scales for the left and right y-axis, which is possible using twinx() (more than two scales are not currently supported, though it is on the wish list). This works pretty well, though there are some quirks when you are trying to interactively pan and zoom, because both scales do not get the signals. The approach uses twinx() (and its sister twiny()) to use 2 different axes, turning the axes rectangular frame off on the 2nd axes to keep it from obscuring the first, and manually setting the tick locs and labels as desired. You can use separate matplotlib.ticker formatters and locators as desired because the two axes are independent. See Plots with different scales for a complete example. Matplotlib in a web application server for information about running matplotlib inside of a web application. When you want to view your plots on your display, the user interface backend will need to start the GUI mainloop. This is what show() does. It tells Matplotlib to raise all of the figure windows created so far and start the mainloop. Because this mainloop is blocking by default (i.e., script execution is paused), you should only call this once per script, at the end. Script execution is resumed after the last window is closed. Therefore, if you are using Matplotlib to generate only images and do not want a user interface window, you do not need to call show (see Generate images without having a window appear and What is a backend?). Because closing a figure window invokes the destruction of its plotting elements, you should call savefig() before calling show if you wish to save the figure as well as view it. New in version v1.0.0: show now starts the GUI mainloop only if it isn't already running. Therefore, multiple calls to show are now allowed. Having show block further execution of the script or the python interpreter depends on whether Matplotlib is set for interactive mode or not. In non-interactive mode (the default setting), execution is paused until the last figure window is closed. In interactive mode, the execution is not paused, which allows you to create additional figures (but the script won't finish until the last figure window is closed). Support for interactive/non-interactive mode depends upon the backend. Until version 1.0.0 (and subsequent fixes for 1.0.1), the behavior of the interactive mode was not consistent across backends. As of v1.0.1, only the macosx backend differs from other backends because it does not support non-interactive mode. plot([1,2,3])            # draw here ? xlabel('time')           # and here ? ylabel('volts')          # and here ? title('a simple plot')   # and here ? However, it is possible to force Matplotlib to draw after every command, which might be what you want when working interactively at the python console (see Using matplotlib in a python shell), but in a script you want to defer all drawing until the call to show. This is especially important for complex figures that take some time to draw. show() is designed to tell Matplotlib that you're all done issuing commands and you want to draw the figure now. show() should typically only be called at most once per script and it should be the last line of your script. At that point, the GUI takes control of the interpreter. If you want to force a figure draw, use draw() instead. This is not what show does and unfortunately, because doing blocking calls across user interfaces can be tricky, is currently unsupported, though we have made significant progress towards supporting blocking events. New in version v1.0.0: As noted earlier, this restriction has been relaxed to allow multiple calls to show. In most backends, you can now expect to be able to create new figures and raise them in a subsequent call to show after closing the figures from a previous call to show. Tukey's box plots (Robert McGill, John W. Tukey and Wayne A. Larsen: "The American Statistician" Vol. 32, No. 1, Feb., 1978, pp. 12-16) are statistical plots that provide useful information about the data distribution such as skewness. However, bar plots with error bars are still the common standard in most scientific literature, and thus, the interpretation of box plots can be challenging for the unfamiliar reader. 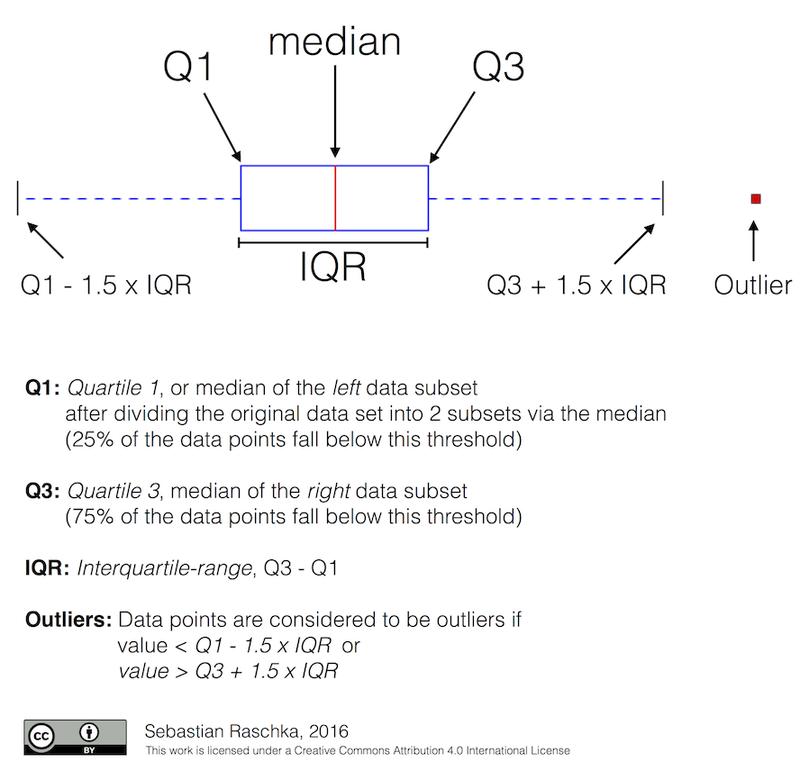 The figure below illustrates the different visual features of a box plot. Violin plots are closely related to box plots but add useful information such as the distribution of the sample data (density trace). Violin plots were added in Matplotlib 1.4. Is there a feature you wish Matplotlib had? Then ask! The best way to get started is to email the developer mailing list for discussion. This is an open source project developed primarily in the contributors free time, so there is no guarantee that your feature will be added. The best way to get the feature you need added is to contribute it your self. The development of Matplotlib is organized through github. If you would like to report a bug or submit a patch please use that interface. To report a bug create an issue on github (this requires having a github account). Please include a Short, Self Contained, Correct (Compilable), Example demonstrating what the bug is. Including a clear, easy to test example makes it easy for the developers to evaluate the bug. Expect that the bug reports will be a conversation. If you do not want to register with github, please email bug reports to the mailing list. The easiest way to submit patches to Matplotlib is through pull requests on github. Please see the The Matplotlib Developers' Guide for the details. Matplotlib is a big library, which is used in many ways, and the documentation has only scratched the surface of everything it can do. So far, the place most people have learned all these features are through studying the examples (Search examples), which is a recommended and great way to learn, but it would be nice to have more official narrative documentation guiding people through all the dark corners. This is where you come in. There is a good chance you know more about Matplotlib usage in some areas, the stuff you do every day, than many of the core developers who wrote most of the documentation. Just pulled your hair out compiling Matplotlib for windows? Write a FAQ or a section for the Installation page. Are you a digital signal processing wizard? 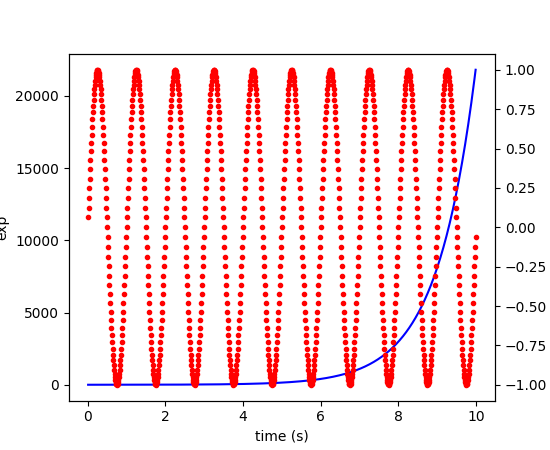 Write a tutorial on the signal analysis plotting functions like xcorr(), psd() and specgram(). Do you use Matplotlib with django or other popular web application servers? Write a FAQ or tutorial and we'll find a place for it in the User's Guide. Bundle Matplotlib in a py2exe app? ... I think you get the idea. Matplotlib is documented using the sphinx extensions to restructured text (ReST). sphinx is an extensible python framework for documentation projects which generates HTML and PDF, and is pretty easy to write; you can see the source for this document or any page on this site by clicking on the Show Source link at the end of the page in the sidebar. The sphinx website is a good resource for learning sphinx, but we have put together a cheat-sheet at Writing documentation which shows you how to get started, and outlines the Matplotlib conventions and extensions, e.g., for including plots directly from external code in your documents. Once your documentation contributions are working (and hopefully tested by actually building the docs) you can submit them as a patch against git. See Install git and Reporting a bug or submitting a patch. Looking for something to do? Search for TODO or look at the open issues on github. For more on configuring your backend, see What is a backend?. Alternatively, you can avoid pylab/pyplot altogether, which will give you a little more control, by calling the API directly as shown in CanvasAgg demo. TODO; see Contribute to Matplotlib documentation. Andrew Dalke of Dalke Scientific has written a nice article on how to make html click maps with Matplotlib agg PNGs. We would also like to add this functionality to SVG. If you are interested in contributing to these efforts that would be great. The nearly 300 code Gallery included with the Matplotlib source distribution are full-text searchable from the Search Page page, but sometimes when you search, you get a lot of results from the The Matplotlib API or other documentation that you may not be interested in if you just want to find a complete, free-standing, working piece of example code. To facilitate example searches, we have tagged every code example page with the keyword codex for code example which shouldn't appear anywhere else on this site except in the FAQ. So if you want to search for an example that uses an ellipse, Search Page for codex ellipse.